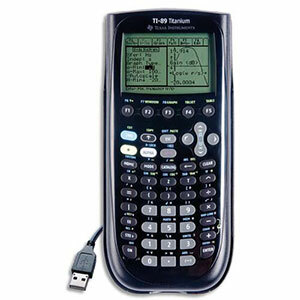 Introducing TI's most powerful graphing calculator: The TI-89 Titanium, offering new features, preloaded Apps, and even more versatility. A built-in USB port makes data transfer ultra-convenient. Plus, with three times the memory of the TI-89, you can store more Apps, data, and programs. 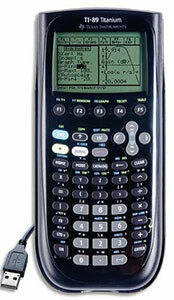 The TI-89 Titanium's advanced functionality and 3-D graphing make problem-solving for AP*, advanced mathematics, and engineering courses infinitely easier. It's the most powerful TI graphing calculator allowed for use on the AP* Calculus, AP Statistics, AP Physics, AP Chemistry, PSAT/NMSQT**, SAT® I , SAT II, and Math IC & IIC exams.